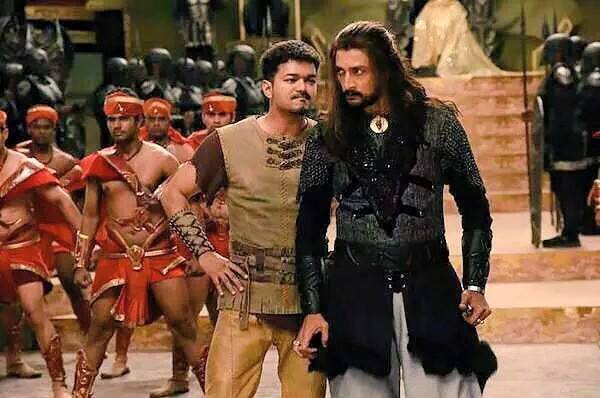 What makes Puli a must watch? Here are some reasons. Home/NEWS/What makes Puli a must watch? Here are some reasons. What makes Puli a must watch? Here are some reasons. Vijay has generated enough buzz and the high quality VFX are enough to pull us to the theatres. Ilayathalapathy Vijay is coming over to entertain us after the massive blockbuster Kaththi. Sridevi the queen of hearts is making a comeback in South after a very long time, almost 29 years . Shruti Haasan and Hansika have shown enough glamour and are looking very attractive, they are surely going to be a feast for the eyes. Superstar Sudeep playing a role with Negative shades, will be a treat for the fans, one superstar taking on the other is always a thrilling experience. Top quality graphics, shown in the teaser and the trailer has got us thinking, that this movie is a going to be a visual wonder. Devi Sri Prasad’s music as always will rock, his tunes and back ground would definitely mesmerise us. These beautiful actresses are going to provide enough glamour on the screen. 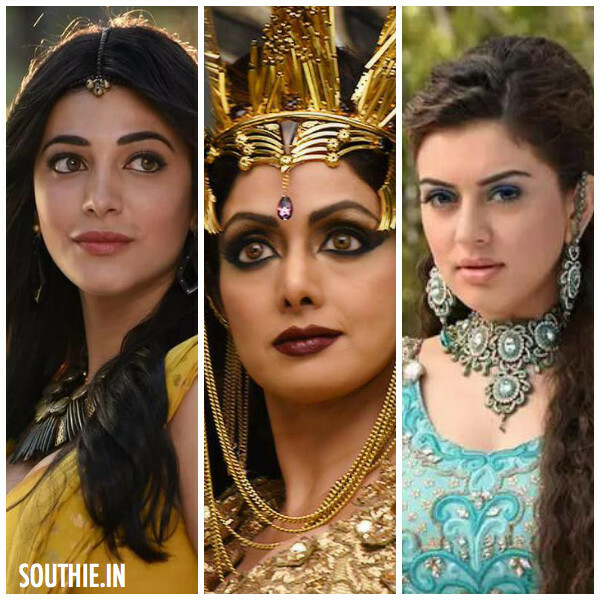 Shruti Haasan, Sridevi and Hansika in Puli. Vijay and Sudeep Confrontation is going to be a major Highlight. Here are some reasons that would make Puli a blockbuster irrespective of the talk. Massive openings: ‘Puli’ has been planned for a pan-India release, and will be released in Tamil, Telugu and Hindi. Also, the film will reportedly be released approximately in a whopping 3,500 screens across India. 2,000 screens in Tamil Nadu, Andhra Pradesh and Telangana, 1,000 in North India and 500 in Kerala and Karnataka. The international market will have around 200 screens reserved for Puli. Director is good at Handling Fantasy Subjects: Chimbu Deven’s debut film, Imsai Arasan 23am Pulikesi, which was also fantasy film, turned out to be a huge hit. The ability of the director to handle such films and be successful will be a key aspect for the success of Puli. This is his fifth film in 10 years and it shows that Chimbu Deven takes his time in writing the script and making the right films. Star Cast for Different Regions: The size of Vijay’s fan base in states like Tamil Nadu and Kerala is huge. Meanwhile, Sridevi and Shruti Haasan’s popularity in Bollywood will bring in audiences in north India, while Sudeep’s and Hansika’s presence will ensure a super openings in Karnataka and AP and Telengana. Family crowd: With the film being a fantasy adventure, the makers have repeatedly reiterated that their target audience is children and their families. The presence of dwarf characters, a one-eyed troll and a lot of graphics will ensure that children will find the film mesmerising.